Player check-in will take place each Sunday evening at the FF Memorial Sportsplex, Flagstaff at the Jay Lively Ice Arena, Santa Fe Genoveva Chavez Community Center, Youngstown at Freeze Ice Arena prior to camp commencing. All players must be checked in by a parent or guardian. Check-in time will take place from 5:00-6:00 pm. Skate Sharpening will be available at check in. At this time, all players, parents and guardians will be invited to attend a brief Pre - Camp Orientation session beginning at 6:00 pm. The Pre Camp Program Orientation will cover details pertinent to the everyday activities of camp. Note all fees must be paid and waiver completed prior to a player commencing programming. The schedule for the week of hockey camp will be provided at the Camp Check In and Orientation (Sunday 5;00-6:00 PM), The Under 8 Camp is a half day (8:30 AM-12:00 PM). The Under 11-14-18 are full day camps scheduled during the day. The camp is complemented with an evening game component (Flagstaff/Santa Fe Tues & Thu) (Fort Frances Wed & Fri) . Please note daily schedules are subject to change slightly to offer the best program possible for the participants. Fort Frances Friday night we will host the /BBQ Banquet at the FF Memorial Sports Complex at 6:00 PM. Immediately following the BBQ Banquet we will host our Friday Night Super Series Games. Tickets must be purchased at the NHCC Pro Shop on/or before Thursday at 5:00 PM each week. All participants must bring their own hockey equipment (including neck guards (Fort Frances), face masks, mouth guards) off-ice training wear (sweat suit, t-shirt, shorts, sport shoes, towel). It is strongly suggested that players refrain from bringing personal electronic equipment. Cell phones and cameras are not allowed at the camp and dressing rooms. Cell phones will be held by the camp director for safekeeping and may be used upon request in designated areas. Every program includes a player specific off ice Multi-Sports Camp that is designed to complement our on ice program and focus on the development of hockey specific flexibility, agility, balance, co-ordination, cardio-vascular fitness, plyo - metric power accomplished through unique training principles and a wide range of Multi-Sports activities. The Program is directed by President and Founder Harry Mahood (Fort Frances & Flagstaff), VP Canadian Operations Jamie Davis (Fort Frances), VP of US Operations Austin Sutter Santa Fe).Our support staff is a mixture of important role models for the participants. We utilize staff that have a strong relationship to the NHCC and will serve as strong familiar leaders for the players. Please watch our website for announcements for each camp. The Pro Shop will feature a selection of NHCC clothing, merchandise, tape and skate sharpening/service. The Pro-Shop serves as a “go to” for all the programs. Each player must have their own health and accident insurance policy. ONLY prescription medications are allowed at the camp. All prescription medications will be held in Camp lock box for safekeeping and administration monitored by the camp directors. There will be absolutely NO peanut products allowed on premises. In addition, NO over the counter medications are allowed (for the safety of all participants). Prescription medication must not be kept with the players for the safety of all program participants. There will be no refunds after June 1 of program year. Registrations must be accompanied with the appropriate deposit or balance paid in full, which will be refundable, less the administration fee, until June 1. In the event of an accident or injury prior to or during the session, one half of the unused fees will be returned if the request is accompanied by a Doctor’s statement verifying the nature of the injury, or the player may receive credit for the entire amount of unused fees to apply to a future session within one year. No money will be refunded if the credit is not used. No refunds will be given if a player leaves because of their own desire or fails to attend. 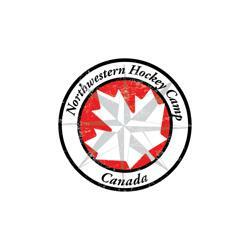 In the unlikely event that any of the programs are cancelled due to uncontrollable circumstances, Northwestern Hockey Camp Canada will refund in full all deposits and balances paid.